Father Bernard Vaughan S.J. (1847 - 1922) was an eloquent and theatrical speaker. 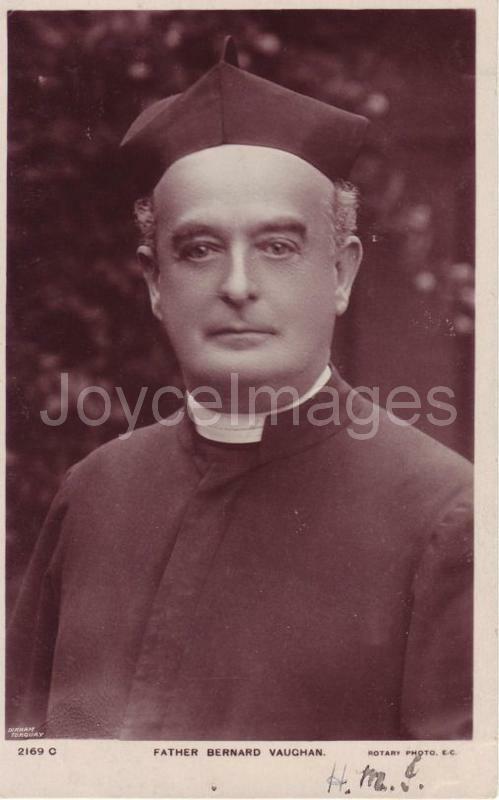 His contemporary Father Feeney S.J. wrote: "Father Vaughan was never a lecturer at the lectern, nor a pulpit pedagogue. He was first, last, and always, a preacher. Those who could not match him at excellence in this endeavored to depreciate him." And further: "Often, when speaking in public, he tried to offer England a sociological Jesus, instead of the Jesus Who died to save our souls. He made Our Lord the ardent supporter, almost contributor, to all sorts of uplift enterprises, for better food, better living quarters, better hospital care. As a Catholic in the pulpit, Father Vaughan was edifying."